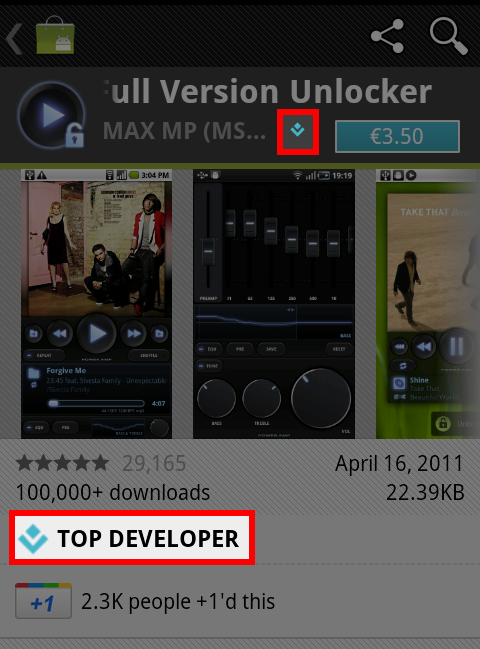 It seems that the Android team is updating the Android Market just a few days before the anticipated release of Ice-cream Sandwich, the latest version of Android. 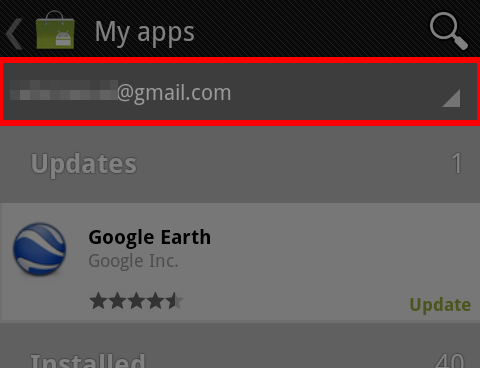 An updated icon that looks more modern than the previous one. 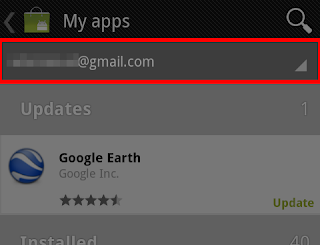 The Google account associated with your installed apps is now shown on top with the ability to quickly switch to another account. A new icon has been introduced to recognize top developers. 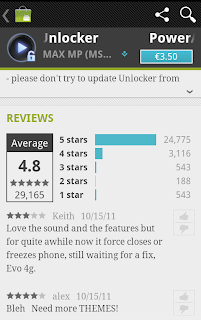 Reviews are now more detailed & look similar to the web-based Android market.